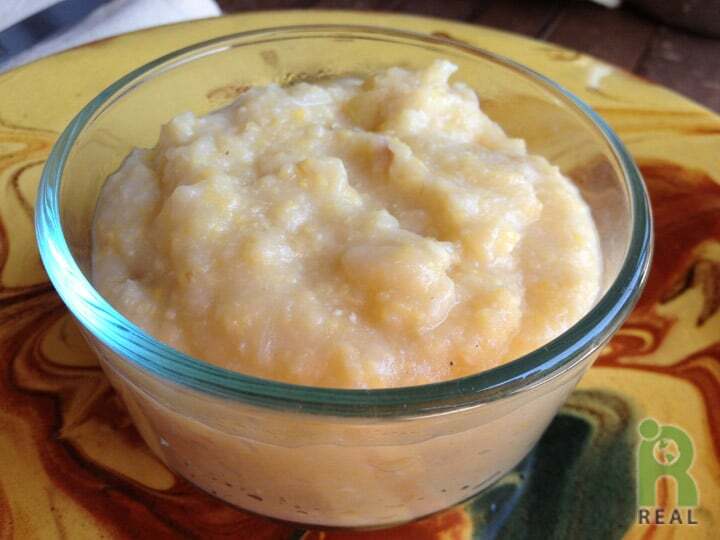 For a little change in your oatmeal breakfast routine try polenta. In a medium saucepan mix polenta and water. Cook on high heat until it started to boil than turn down to medium low. Stir regularly. Cook for about 20 minutes. Add in apples and apricots and cook another 5 to 10 minutes. If mixture starts to get dry and sticky, add a little more water. Serve hot. Top with coconut milk for a richer flavor.